PB Series Deep Hole Boring Machines are engineered with the same standard of quality, reliability, and precision that you can expect from every Wohlenberg machine tool. Like the PT and PC series, PB Boring Machines are designed with customization in mind, enabling you to get a machine that is tailored specifically to your production needs. 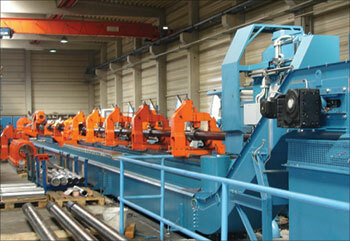 MPE engineers will work closely with you to determine the ideal machining solution for your business. Contact our sales engineers for more information, or to discuss your machining needs and determine the solution that’s right for your company. 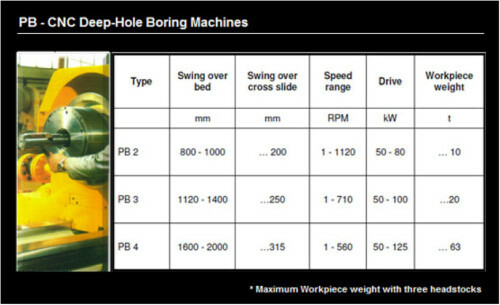 Below you can find specifications for PB Series Machines, as well as some photos of custom Wohlenberg Deep Hole Boring Machines.